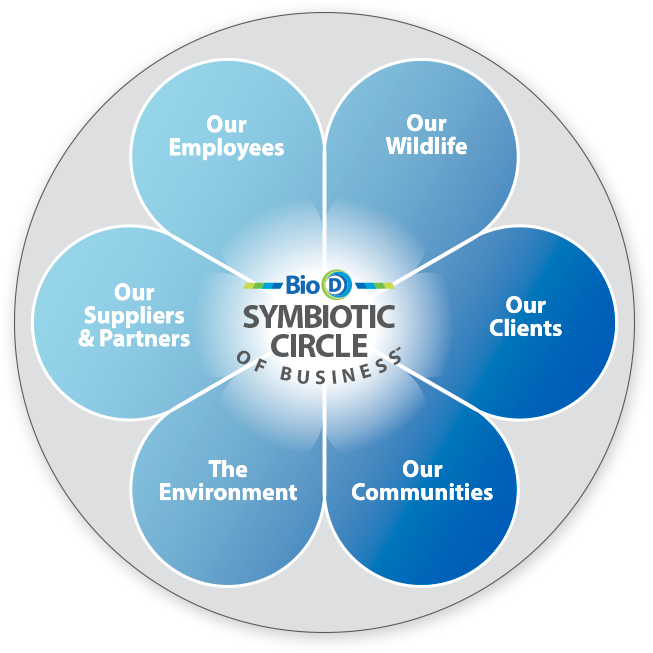 Our Symbiotic Circle of Business™ allows us to share with the world who we are and why we do what we do. Each entity in the Circle is deeply interrelated and as a result, all participants are stronger together. The Circle is at the core of our values and paints a clear picture for our clients of how we conduct business. 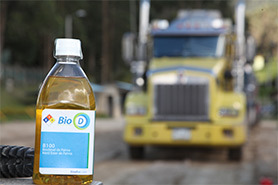 All of us at Bio D feel our Symbiotic Circle of Business™ enables us to reach true sustainability and permits us to deliver the finest service possible. This high level of service can only be sustained if all of the participants benefit. If anyone does not profit from our circles’ synergistic model, it would negatively affect the service we give to all of our clients. The Only Way to Achieve True Sustainability. The Best Way to Service All of Our Clients.